Muse in Introspection, oil on linen, 78¾ x 39⅜ x 1¾ in. (200 x 100 x 4.5 cm). Muse in introspection, face detail, oil on linen. 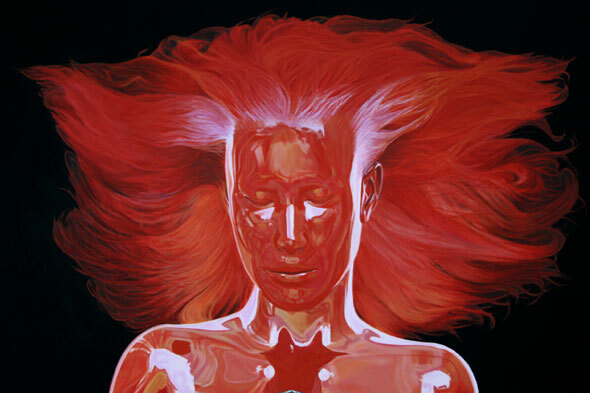 Muse in introspection, body detail, oil on linen. 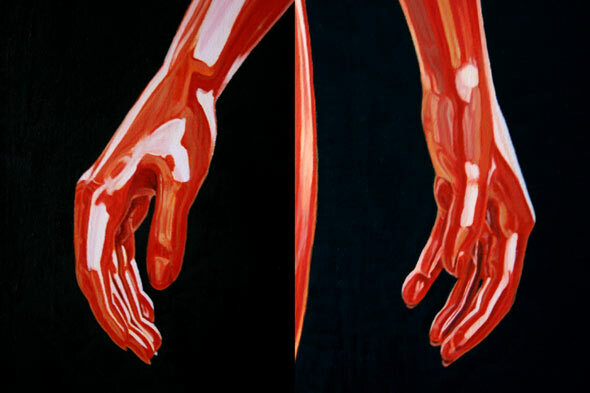 Muse in introspection, hand detail, oil on linen. Muse in introspection, leg detail, oil on linen.